Heneghan was cut by the 49ers on Friday, the team's official site reports. 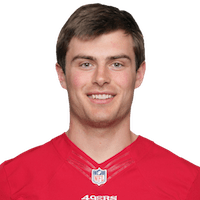 Analysis: Heneghan participated in a local tryout prior to the 2018 NFL Draft, but he never really had a shot at making the 53-man roster with Jimmy Garoppolo and C.J. Beathard secure at the top. There are no videos available for Jack Heneghan. Click here to view all videos.